A brilliant reimagining of iconic cowboy songs from the golden era of American music - featuring musicians from Australia’s cream of country and jazz scenes. Unlike anything you’ve heard before. You know her for from Star Soprano performances with André Rieu. MIRUSIA is one of Australia’s favourite Sopranos; an Aria Award-winning classical crossover artist. Rachael Leahcar is an Australian artist who broke television records with her appearance on the first season of The Voice in 2012. When you’re growing up, you’re always encouraged to do the things you love and told that the world is a great place. When you finally become an adult things don’t always go to plan. This song is about all the things you find out as you grow in life. At 60 years of age, Marcia is still an inspiration to Australian women everywhere. Marcia is constantly reinventing herself and her extraordinary career shows no signs of stopping. Wendy Matthews is Australian singing royalty. She released multiple hit singles in the 1990s - Token Angels, Let's Kiss, The Day You Went Away and Friday's Child. "Keeping My Distance" is yet another instant classic from Wendy Matthews - sweeping strings, paired-back arrangement, lyrics that will have you in tears and a vocal that is as heartbreaking as "The Day You Went Away". With her incredible voice, stunning looks and engaging personality, Paulini is one of Australia’s most uniquely talented performers and songwriters. "This song is about coming into my skin after a struggle to find my voice, my artistry and loving myself. We may feel lonely sometimes but we are never alone - this song is a reminder of the love that surrounds us in friends, family and love from above." Mark Sholtez, is an APRA Award winning, ARIA nominated Brisbane based performer who first came to the public’s attention with his debut album ‘Real Street’. This song addresses the idea of chasing dreams and losing the ones you love. The opening verse leads us through Topanga Canyon to the Californian coast road that became a place for ritual contemplation, and the first glimpse of the Pacific Ocean would repeatedly make me homesick. Since 1973's smash The Show Must Go On to 2006's UK #1 remix Thunder In My Heart, Leo has carved an incredible career, selling 80million albums and garnering a Grammy. 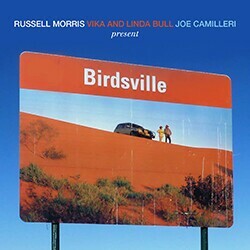 Russell Morris is one of Australia's most enduring singers. His latest album, Van Dieman's Land has just received a 2014 ARIA Award nomination for Best Blues and Roots Album. 2014 marks 160yrs since the extraordinary events at Eureka. The Eureka Stockade saw a rebellion of Ballarat gold-miners, lead by Peter Laylor against the colonial authority. It was the birth of democracy in Australia. Superstar and much loved singer songwriter, Paulini, is back and ready to Air It All Out! The Fijian-born songstress has returned to release Air It All Out. One of Australia’s best rock exports for the best part of fifty years, Russell Morris continues blazing a path with his latest albums becoming the most successful of his career. Featuring the talents of Joe Camilleri on Sax and Vika and Linda Bull on Vocals.